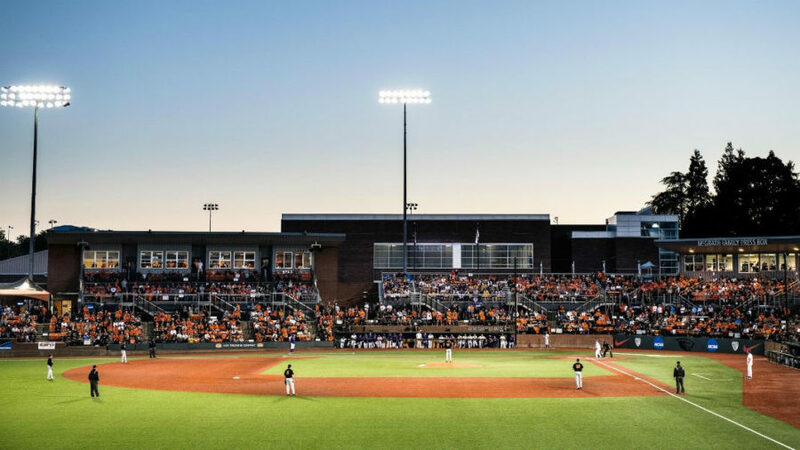 Oregon State (47-10-1) cruised through the Corvallis Regional last week, including beating LSU twice en route to winning the title, and will be hoping to carry over that form into the series against Minnesota at Goss Stadium at Coleman Field. The Beavers are ranked No. 3 nationally entering the NCAA tournament and will be playing in their seventh NCAA Super Regional. Meanwhile, the Gophers (44-13), the No. 14 seeded team nationally, will take part in their first ever Super Regional and are attempting their first berth in the College World Series since 1977. Minnesota swept through the Minneapolis Regional tournament last week with a 3-0 record, including hammering UCLA 13-8 in that championship game. Oregon State, which has advanced to Omaha each of the five times they’ve hosted a Super Regional, comes in as one of the highlighted teams to win the College World Series this season. The Beavers are 10-4 all-time in NCAA Super Regional games and have a dominant 10-2 record at Goss Stadium. Game 2 in this Super Regional is Saturday, also live on ESPN2 at 9:30 pm, while Sunday has been set aside to accommodate the if necessary Game 3, scheduled for ESPN2 at 9:30 pm.